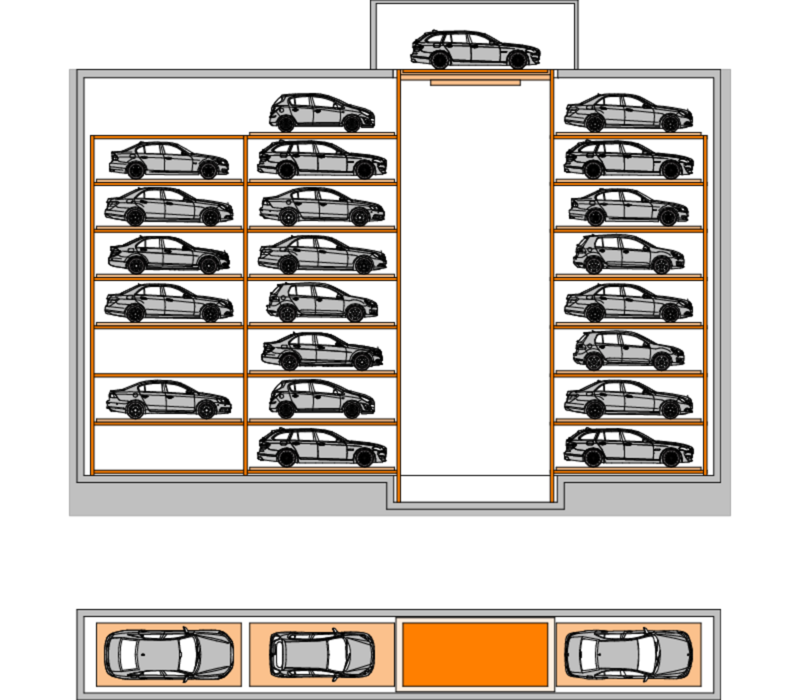 An automatic tower system from KLAUS Multiparking is suitable whenever a small base area is available. 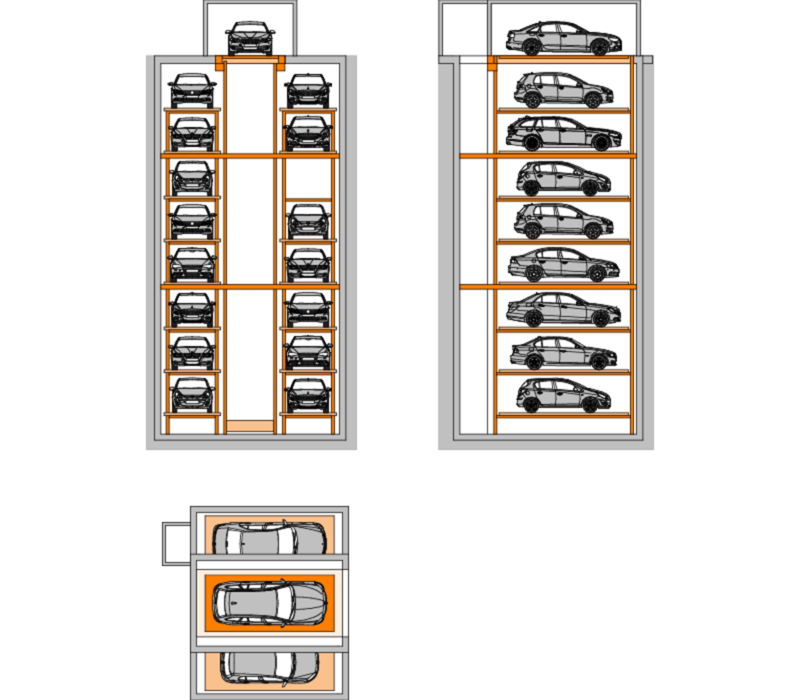 Rather than in the width, the Tower system goes up or down – your vehicle is transported with a lift to the free parking space and is safely stored there. 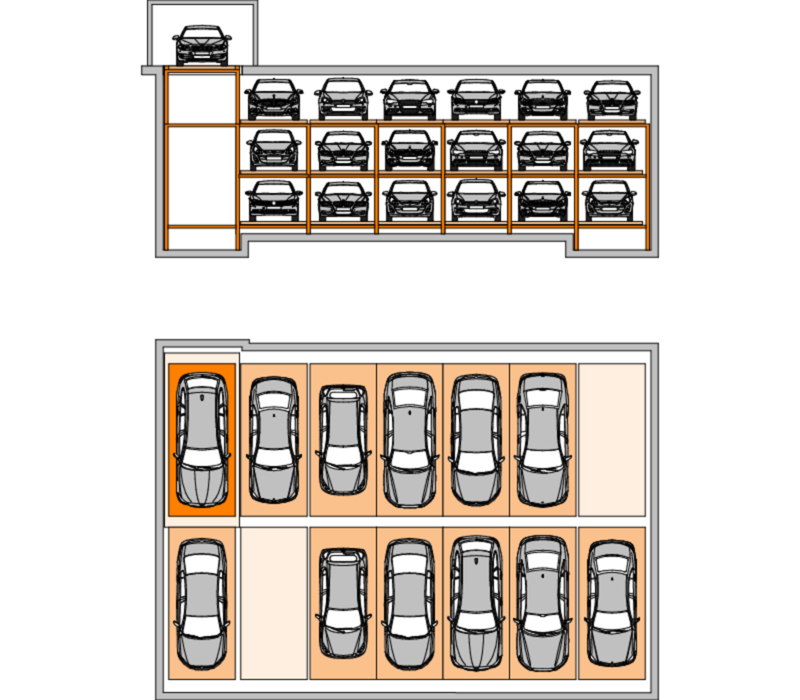 In 15 parking levels, as well as between one to six parking spaces per level, up to 50 parking spaces can be installed on a minimum floor area per system. The MasterVario R2 is the premium solution for short access times with minimal grounding. An additional rotating device in the transfer booth allows you to move forward and backward comfortably. 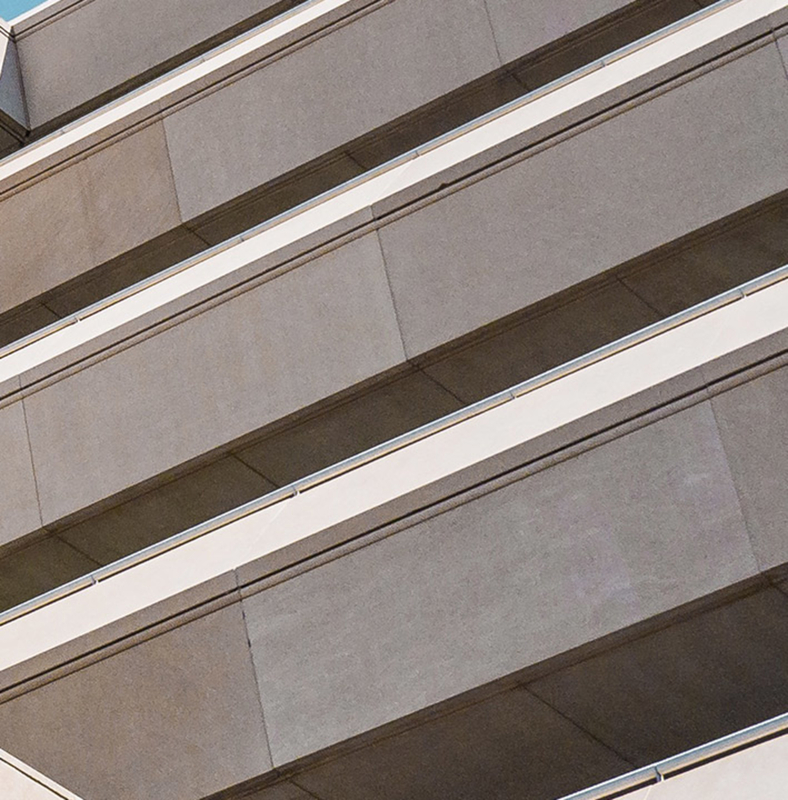 From standard cars to SUVs – the MasterVario R2 type detects the height of your vehicle and finds the appropriate parking space. 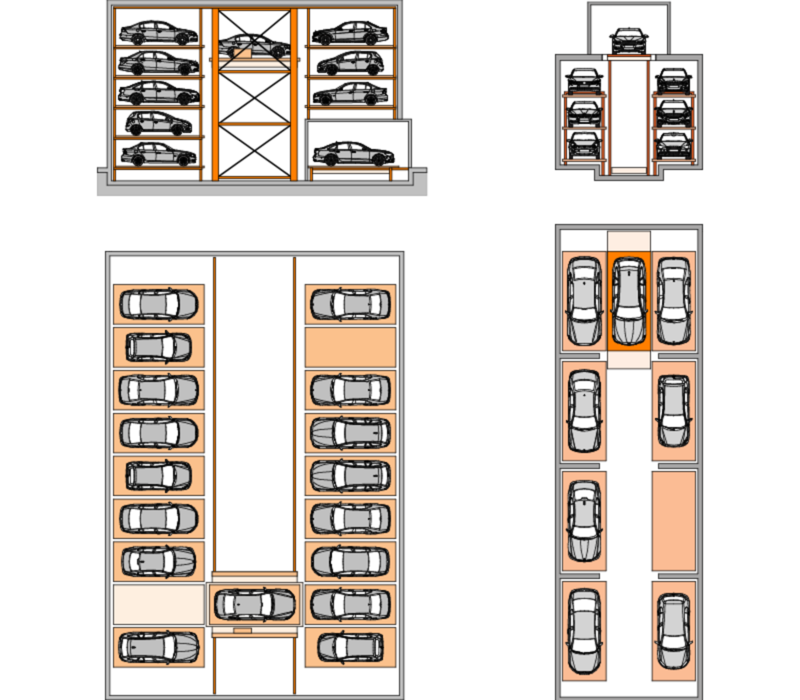 In addition to standard passenger car dimensions and standard passenger car weights, special solutions are also available on request. 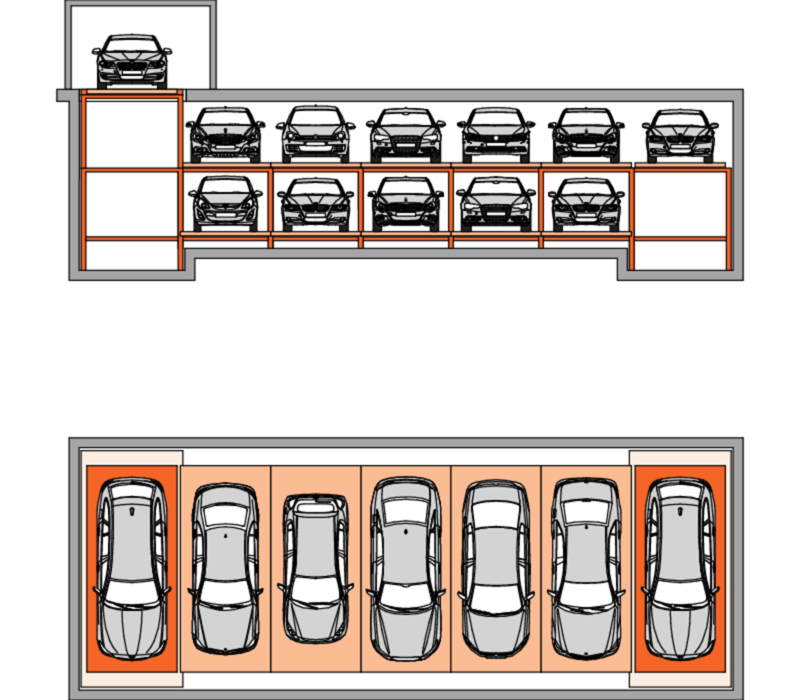 An individual project adaptation is, of course, possible in many cases.